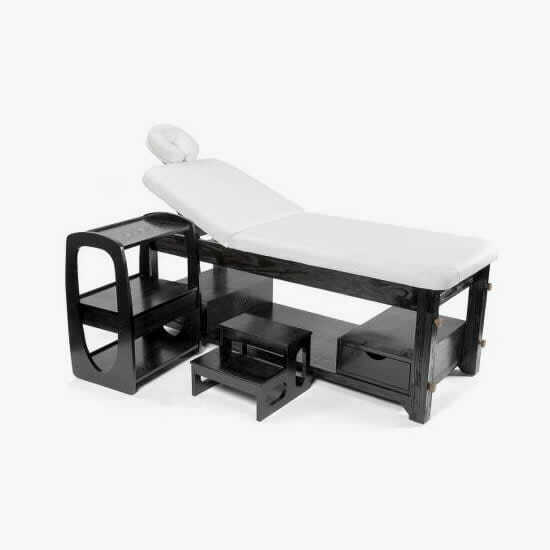 Massage bed made of dark wood with adjustable height and extra thick padding which features a built-in facial cushion, manually adjustable back rest and two drawers underneath for storage. 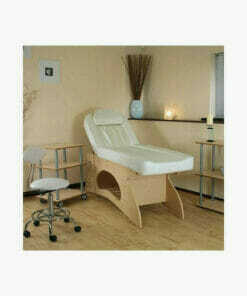 The massage bed come with a handy wooden step for easy access. 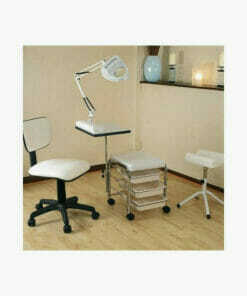 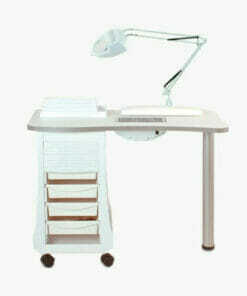 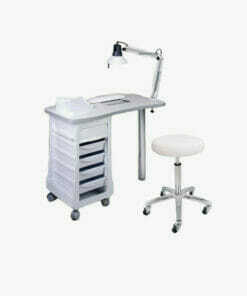 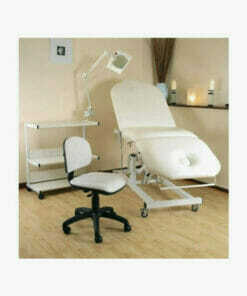 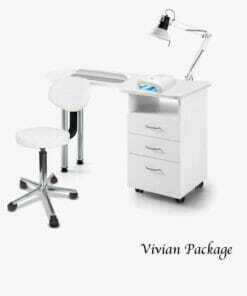 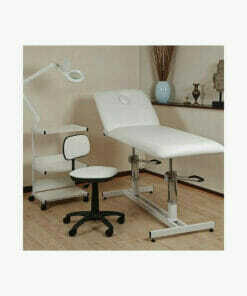 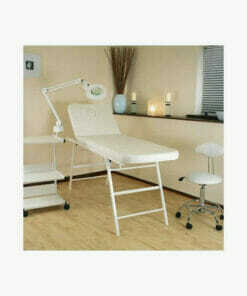 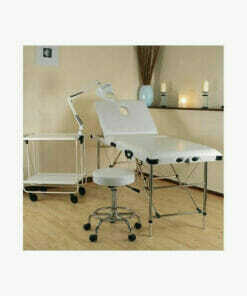 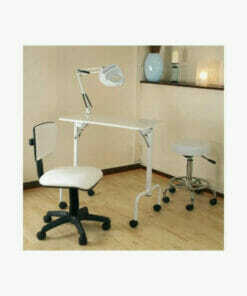 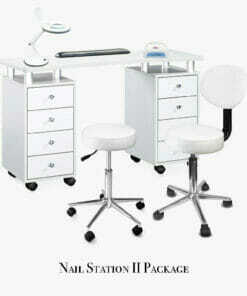 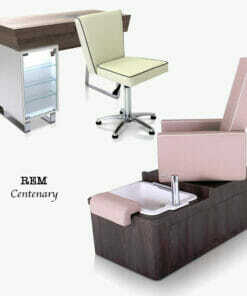 Dark wood beauty trolley (with drawer) on casters for easy movement around the salon. 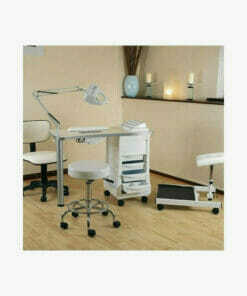 Maximum admissible weight up to 30kg. 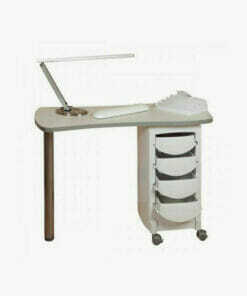 Sturdy and durable shelving unit, ideal for the working environment.